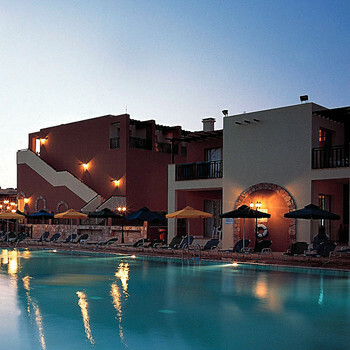 This hotel is in a good location for both the centre of the resort and the beach. The hotel rooms are in need of an urgent update. The cleaning of the rooms was poor as was the bedding and towels. I have never been to a hotel that offers so little choice in the way of food on all inclusive it was the same food most nights with a different topping. This hotel is advertised as a 4* no way is it more like a 2*+ to 3*. The pool area is also in need of a refurb as a number of the sun beds were damaged. This could be a nice hotel with money spent on updating all areas. Have just returned from a 2 week AI break at the Panas. Where to start!! The rooms are comfy, ours was equipped with an oven/microwave, kettle, toaster, fridge/frezzerand TV. The shower/ bathroom was clean, towles replaced everyday and sheets changed daily. All rooms are either ground or first floor. They could do with a bit of updating but they were clean and spacious. The food was great, various themed buffetts and very tasty! Drinks: despite what you may have read elsewhere there is no one drink per person rule, the beer comes in pint glasses and the AI finishes at 12, sometimes creeps over a bit think it stayed open till 1 on some nights. Other than the three meals the provide snacks. The pool is huge, more than enough sun loungers to go round. We paid for a fortnights all inclusive and were told by the travel company it was five star. On arrival we found it not to be five star and although I had paid to upgrade our accommodation I had a 45 minute which was not acceptable. The cleaning service in the apartment was poor and we found our towels were only changed twice in eight days. In addition on one occassion our wet dirty towels which we had left on the floor for changing were in fact put on the bath to use again. I found this not satisfactory and needed to report it. The food is dreadful for vegetarians, same food for 14 days (lunch and dinner) which amounted to dry pasta and potatoes. Only so much you can eat. This was reported to them on two separate occasions to no avail. I was told that I could ask for a meal and they would ensure it, when I did ask I was charged for it despite paying all inclusive. I was extremely disappointed in the food. Entertainment was poor with the reps solely concentrating on young single males and ignoring the remaining guest. On one of the nights the reps were off a new rep came in called Chrissie that was the best night of the whole fortnight she ensured that everyone was included. Bar staff were very good, especially Adrian who was excellent, friendly, excellent with children and a delight. The hotel would do well to keep him. I can not compliment him enough he was fabulous. The rest of the bar staff were also good. Arrived back yesterday, and had a fantastic time. The hotels decor has a greek theme to it but is tastefully done. ROOMS: spacious and very clean. We were in block 19 which is close to the pool and main building but we encountered no evening noise after the entertainment finished. POOL:large and not cold with plenty of sunbeds. paddling pool for toddlers although the shallow end was ideal for tiny tots as it is divided from the deeper end by a volleyball net. FOOD: was lovely, a varied choice every evening, having come from cypriot decent and love greek food i must say the greek dishes were great. STAFF:Bar staff good, with a special mention to Adrian (misspelt i think) the young blond barman was excellent and kept the bar going during busy periods. The waiters that provide waiter service at lunch and dinner although look miserable and rarely smile are great and quite humourous when the get time. Reception staff are pleasent and helpful. We were unable to get our first choice ( Pavlo Napa ) so settled for Panas Village ( an Aqua Sol hotel ) as we wanted to go back to Ayia Napa. It was a bit cheaper and it showed. Just returned from the Panas and I couldn't have asked for a better base for our family to stay, 20 mins walk down Nissi ave or beach path or a shortcut through the potato field cut off about 10 mins. We had a 2 bed apartment that was more like our own villa, 2 floors, 2 bathrooms with a veranda and a patio that got the sun all day long it was very spacious, clean but basic and had all we needed for self catering. Kettle toaster fridge and plenty of pans plates cutlery etc. Maids came every other day towels and bedding changed and 3 times a week for a good clean up, they were also very approachable and if we asked for extra bedding towels etc on a day they weren't due it was there by the time we got back. It had a small pool which was more peaceful than the large one over the road in the main complex but had no bar. As we were self catering and paying guests we didn't have to queue to get served drinks like the AI guests and it was the proper stuff not the cheap branded ones they served normally. Same with the food, no queueing, waiter service and piping hot although we did not eat there a lot as the food tended to be very repetitive. Entertainment not brilliant but we went out most days and nights so it didn't bother us. Staff friendly and helpful and the complex is set in beautiful gardens of fruit trees and flowering bushes that we found out to our delight to be aubergines, peppers and chilli plants, as self caterers we picked our own fresh veg every day on our doorstep...great!!! This hotel is definitely the worst organised badly run complex I have ever stayed,in my life. The food varied from daily bland rice and pasta to unedible meat dishes.The catering staff looked totally embarressed even though some tried to work with a smile. Bar-staff worked incredible feats trying to cope with endless queues at the only bar open,especially at the 11 pm cut off time for all-inclusive. Entertainment was amateurish with no real set programme but they did try there hardest to involve the guests with nightly bingo.Even though the rooms were not cleaned daily,the general village and facilities were clean. Overall a good location,but no beach just rocks a large pool but no sunbeds,willing staff but terrible management. Never again to Panas tourist village for me or my family. On arrival to the Panas Village we were initially worried as on first impressions it was not the typical 4* hotel that we have been previously used too. However the rooms were satisfactory not what we expected as we had a self catering studio but fairly clean with Tv and air conditioning (remote for AC was required to work and a 10 pound deposit was required). Maids would not visit daily, a tip if you leave your room for breakfast is to hang the green maid card on you door. Food was plenty and varied, and the soft drinks and beer were good. Location was good as you were in the middle of nissi beach and the square so either was approx a 20 min walk or 4 pounds in a taxi. The hotel pool was large and sunbeds were always available. Staff were good fun and helpful when you got to know them. Entertainment was definitely a very amature afair, nevertheless the entertainment group tried their best with kids disco, bingo and various shows. On the whole we had a great time your holiday is what you make of it and we would go back again. On arrival at Panas village we were very impressed with what we saw. The reception and bar area were very spacious and attractive and staff very friendly. We booked a one bedroom apartment but on arrival we we got a studio, this was only complaint we had. The pool was very big and there was plenty of activities to keep our eight year old occupied. Overall we had a great holiday and we will be returning to Panas village in the future. We stayed at the Panas tourist village for 2 weeks on an all inclusive package. We paid for a 1 bedroom apartment and were given a studio, which meant all 4 of us sleeping in one room. (our children are aged 13 and 8) On our 2nd to last night we were told by other families we should have complained and we would have been moved. The first few days the food was ok, but it did go down hill rapidly, which meant we were paying to eat out all the time. The entertainer did try hard but!!!! The all inclusive package ended at 11pm, one family ordered an extra glass of wine each and were asked to leave the hotel the following morning. They did speak to management and they agreed they could stay but not to do it again. In our view, this was the worst holiday we had had and a waste of money.